It is no mistake that the legend of Pythagoras says that he discovered harmony by observing the change of sound in relation to the length of the string. This is a symbolic clue that the deepest Pythagorean mysteries are to be found in the alchemical knowledge and application of sound vibration. The legend also says that Pythagoras had spent many years learning from the Hierophants of the Egyptian Temples. This is no coincidence, because there was actually a Geometric Energy Science behind the design of the Temples. This was used in conjunction with the alchemical knowledge of sonic chanting. It is very significant that the Hebrew word for rope or string is spelled with the letters GML. This is also the word Camel, which is the letter Gimel spelled out. Gimel is key 2 - The High Priestess. As a symbol for subconsciousness and alchemical Water, the High Priestess is also a symbol for the Net. The Net is a term employed by the Egyptian initiates as a symbol for Nature. The Gods/Goddesses of Egypt were called NeTeR by the Egyptians. This is where we get the word for Nature. The High Priestess is also an aspect of Isis. The language of the NeTeR is the language of symbols. The points (1) on the Net are individual symbols. The lines (2) connecting the points are the relationships between symbols. Information flows like Water across these lines. The lines of the Net are the ropes and strings. The Gimel (Camel) is symbolizes the carrying of goods and information from House to House. And a Camel is always carrying Water. It's neck is shaped like a bow, and the primitive Hebrew letter for Gimel was shaped like a bow. And a bow resembles the crescent Moon. A Camel travels and returns like the waxing and waning of the Moon. On the High Priestess we see a Cross on her breast, while she sits on a throne in the shape of a Cube. The cross symbolizes the points on the Net where lines of information cross over each other. When we stack Cubes together, each corner point then becomes a cross in 3-dimensions. The Sepher Yetzirah contains the core system of the Qabalistic correspondence to Tarot and the Tree. The first line of the text reads: "In 32 mystical Paths of Wisdom did the Lord write, ...". Here, Paths is Netivoth (Nun Tav Yod Beth Vav Tav) which is the plural of Netiv (Nun Tav Yod Beth) = 462. Wisdom is Chokmah (Cheth Kaph Mem Heh) = 73. 73 is also the number of Gimel (Gimel Mem Lamed) = 73. On the Tree, Chokmah is number 2, and the Tarot key for Gimel is key 2. 462 is the number of 2-letter sequences of Hebrew letters, without repeating a letter. This means that we need to combine the letters and understand their pairs in order to travel the Paths. We need to separate the letters, see how they are different, then see how they are similar. That is, first make Thesis-Antithesis pairs, then reunite these into a Synthesis of unity. And the Sepher Yetzirah describes the Path of Gimel as the Uniting Intelligence. This idea is symbolized by the pillars and veil on key 2. The discovery of the hidden connections and relationships between two different letters is really the same as peering behind the Priestess's veil. Note that the veil is made of fabric, which has the shape of the Net. The Paths of the Tree are said to be Paths of Wisdom (Chokmah = 73). This means that the Tree is to be seen as a master pattern for structuring our consciousness. The Tree itself is a Net, the Sephiroth being the points, and the Paths/Letters being the connecting lines. We ride the Camel along the Paths as we journey through the Tree. The Paths flow like Water, because this is the Water of Wisdom that flows from the Priestess's robe. The Water is really the mirror wherein the One Self contemplates its own reflection, and so the Wisdom received along the Paths is really just a memory. 40 = 4 * 10. There are 4 Worlds and 10 Sephiroth in each world. This gives a system of 40 Sephiroth. These are the 40 numbered keys of the Minor Arcana (4 suits * 10 numbered cards). The Hanged Man has white hair because he is really The Hermit, as he is reflected in this world. The One Identity creates the Tree as a Net, a subconscious system to record and preserve a universe. The substance of the Tree is the Water, and it flows through the Paths of Wisdom, just as thoughts flow through our consciousness. It is the way the One Identity creates a mirror, so that it can see its own Face. In this way, we see the entire Tree as a musical instrument. The strings are the paths, and the vibrations of the strings are the waves in the Water. Each thought in our consciousness has its own specific rate of vibration, and its own geometric form. The work of the One Alchemist is the work of the One Identity (The Hermit) perfecting and tuning its musical instruments. The Hanged Man shows that the real musical instrument is each individual human personality. The One Alchemist tuning this instrument into Perfect Pitch is shown in key 14 - Temperence. And note what is meant by Equal Temperament in music theory. Scale down to the Planck length and create a 3d-grid of equally spaced points. Then join them all up in perfect Cubes. The edges of these cubes are the Chords (cords) of the NET. So take that image and imagine the edges of these Cubes of Space to be vibrating. The Hindu Shabda-Brahma, or Sound-Deity, is held to maintain the world through sound vibration. The Qabalah teaches that the Worlds and Spheres came into being through spoken commands. The first chapter of Torah B'Reshit (Book of Creation) declares that each act of creation was preceded by speech: "And God said ..." And the doctrine of the Logos has been succinctly described as "In the beginning was the Word ..."
Fundamental to Pythagorean thinking is the idea of resonance. Strike a tuning fork and hold it near an other unstruck tuning fork of the same note. The second one will vibrate in resonance with the first. Our personal subconsciousness is just a portion of the Great Sea of universal subconsciousness. The Camel establishes us in connection to all points in space. By striking the right notes, one can access the Powers of creation through resonance. In effect, one learns to sing along with the melodies of creation. The Sepher Yetzirah relates that the Six Directions of Space were sealed with the letters IHV (Yod Heh Vav) = 21. Each one of the three dimensions, corresponding to the three mother letters Aleph Mem Shin, represents the number 42 as 21+21 = 42. The Qabalah teaches that there are two femenine aspects to Deity, the Dark Sterile Mother AMA (Aleph Mem Aleph) = 42 and the Bright Fertile Mother AIMA (Aleph Yod Mem Aleph) = 52. AMA is the High Priestess while AIMA is the Empress. This connects the idea of Cubes of Space with AMA through the number 42. And it can only be left to amazement to notice that 52 + 21 = 73. 1+2 = 3 : "Supernal Triangle - Three Mothers"
1+2+3 = 6 : "He sealed Six directions of Space"
1+2+3+4+5+6 = 21 : "with the letters IHV"
1+2+3+4+5+6+7+8+9+...+19+20+21 = 231 : "231 Gates = 231 pairs of letters"
40+42 = 462 : "Paths of Wisdom"
3 Mothers = Keys 0, 12, and 20. Victory is achieved when the Water flows through a perfectly tuned instrument. A Master of the NET is one who can Speak the magical language of creation. In this connection, key 2 is the Moon, which rules Cancer, and Cancer is key 7 - The Chariot. Notice the crescent Moons on the shoulders, while the clear Waters flow behind. The letter Cheth is assigned to the function of Speech. The Sepher Yetzirah calls the Path of Cheth the Intelligence of the House of Influence. The House is Beth. It is a House of influence because of receptivity to the One Will, and also because success in the Great Work is measured by Mastery of Language, i.e. the NET. "The world is made of Words, and if you know the Words that the world is made of, then you can make of it what you Will." The Cross is Tav, key 21 - The World. Geometrically, a Cross is two perpendicular lines, which meet at 90 degree angles. Our Cubes of Space shown above will generate a system of 90 degree angles. 90 is the number of Mem (Water) spelled as MIM (Mem Yod Mem) = 90. Mem is key 12. The Hanged Man is reversed, and the reversal of 21 is 12. 12+21 = 32. The gallows is shaped like the letter Tav, and the Hanged Man is suspended by the rope. Both the Hanged Man and the dancer Cross their legs. The letter Tav is the Center of the Cube of Space, where the 3 dimensions Cross. Mem final is also assigned to the Center of the Cube. The Center is also the Heart, Lev (Lamed Beth) = 32. The Master of the NET is the King of Space. It may seem as if this thread could go on forever, or that we are moving in Circles, but we are really weaving the Robe of the King. "We live in a Many and One Universe." The Number 2 is the cause of manifestation. It is the One duplicating itself as reflective substance, and then self-remembering. The act of creation can be reconstructed with the magical tools of compass and ruler. The Godhead as First Logos, the One, is symbolized by the Point in the Circle. (22/7 ~ 3.14... = pi, 360 degrees : ShIN = 360). The act of drawing a Circle with the compass (power of 1) is an important magical ritual. Since we know that the first act of manifestation is self-reflection, our geometric construction should 'reflect' the compass, that is, we switch the point in the center and a point on the circumference. The sharp point of the compass is used where the pencil point was used before, and vice versa. The birth of the universe takes place in the area created by the overlapping Circles. This shape is called the Vesica Pisces, which means literally "bladder of the Fish". Next we use the ruler (power of 2) to join the points (1) with lines (2). This gives 1+2 = 3. The Creation takes place in Six (1+2+3=6) Days, and on the Seventh (1+2+3+4+5+6+7=28 perfect number, 2+8=10=1) He rested. That is, we make Six circles around the One. The birth of the Net is the birth of the Cube. There are 6 square (4) faces, 12 edges, 8 corner points. 6+12+8 = 26. Here we see also see 6 equilateral triangles. They are equilateral, suggesting equilibrium of polar opposites. Each angle is 60 degrees. 60 is the value of the letter Samek, which is Key 14 - Temperence. We see here that the One Alchemist is identified as IHVH, and this is written on the Robe. IHVH = Yod Heh Vav Heh = Hand Window Nail Window = YVD HH VV HH = 20+10+12+10 = 52. 52 = AIMA = The Empress = Venus = 'Circle and Cross' = 22 + 4 = 26. 52 = BN = Ben = Son. The 33 is really 3 * 3 = 9, the 3 multiplying itself. After the stage of self-reflection, there is growth, symbolized by the number 3 and Key 3. The 3 multiplies itself, showing the fractal recursion of all growth processes. When we continue the geometric construction process, the duplication of the Cube is the birth of the Son. This is done by drawing three more Circles, for a total of 10 Circles. We see here that there are two Cubes, giving 10 equilateral Triangles, 10 Points, and 19 Lines. This is really the construction of the Perfect Tree, before the Fall. 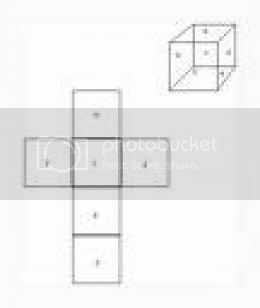 The 10 Ineffable Sephiroth assembled into the Perfect Tree (Double Cube) are the BLUEprint for the rest of creation, as the 2-dimensional design becomes manifest in the 3-dimensional space, and the 60 becomes the 90. It is the Hermetic "As Above, so Below", the Philosopher's Stone. This is the Stone, Ehben ABN (Aleph Beth Nun) = 53. Also, Gold is Kammaw ChMH (Cheth Mem Heh) = 53. If we want to catch Gold in our Net, we have to make our Net into the shape of the Cube, the Stone, the Ehben, where there Father AB = 3 and the Son BN = 52 are One: AB+BN = ABN = 53. This is the perfect union of Macrocosm (6) and Microcosm (5), while the Divine Name of Malkuth is Adoni ADNI = 65. Notice also that Malkuth is spelled MLKVTh = 496. This is the plural of King, Melek MLK = 90. Malkuth is the Sphere of the Kings of the Net. Mastery of the Net involves the harmonizing the Son with the fractality of the Tree, since there is a Tree in each Sephiroth (10 * 10 = 100). 100 + 53 = 153. The secret is to make Fishers of Men. The 153 takes us back to the Vesica Pisces. The Height : Width ratio of the Vesica Pisces is exactly the square root of 3 ~ 1.73... The approximation 265 : 153 was used in the ancient mystery tradition. The mystery of the "miraculous catch of 153 fish" alluded is to in the 21st chapter of the Gospel of John. 1. Afterward Jesus appeared again to his disciples, by the Sea of Tiberias. [a] It happened this way: 2. Simon Peter, Thomas (called Didymus), Nathanael from Cana in Galilee, the sons of Zebedee, and two other disciples were together. 3. "I'm going out to fish," Simon Peter told them, and they said, "We'll go with you." So they went out and got into the boat, but that night they caught nothing. 4. Early in the morning, Jesus stood on the shore, but the disciples did not realize that it was Jesus. 5. He called out to them, "Friends, haven't you any fish?" 6. He said, "Throw your net on the right side of the boat and you will find some." When they did, they were unable to haul the net in because of the large number of fish. 7. Then the disciple whom Jesus loved said to Peter, "It is the Lord!" As soon as Simon Peter heard him say, "It is the Lord," he wrapped his outer garment around him (for he had taken it off) and jumped into the water. 8. The other disciples followed in the boat, towing the net full of fish, for they were not far from shore, about a hundred yards. [b] 9. When they landed, they saw a fire of burning coals there with fish on it, and some bread. 10. Jesus said to them, "Bring some of the fish you have just caught." 11 . Simon Peter climbed aboard and dragged the net ashore. It was full of large fish, 153, but even with so many the net was not torn. 12. Jesus said to them, "Come and have breakfast." None of the disciples dared ask him, "Who are you?" They knew it was the Lord. 13. Jesus came, took the bread and gave it to them, and did the same with the fish. 14. This was now the third time Jesus appeared to his disciples after he was raised from the dead. Notice that the number 153 appears in the 11th verse. And this is the 21st and final chapter of the Gospel of John. 21 * 11 = 231. The Fish are caught in the Net. The Water is the Sea of Galilee. Galilee = GLLI = (Gimel Lamed Lamed Yod) = 73. The Sun/Son is Christ Jesus as told in the story. But every Star is also a Sun. In the first image above in this post, 153 represents the radius of each Circle, the circle's unit of measurement. This says that we begin building the Net using the lessons of Key 17 - The Star. Its basic meaning is Meditation.